Avoid the stress of organising flights and luggage! With return flights and 20kg checked luggage planned for you when you travel with My Bali the only thing you will need to worry about is enjoying the experience. Experience true Bali hospitality with a welcome fruit basked on arrival in your room! This island-style greeting is the perfect start to your tropical holiday and will make guests feel at home! You will also be treated to a daily restocked mini-bar in room, complete with an assortment of juices, soft drinks & snacks. Feel your best on your holiday with this incredible wellness package. Including Tai chi/Yoga & Macrobiotic menu every Tuesday & Friday! Receive the ultimate service and treatment at the Amarterra Villas, with daily homemade cookies and candy, mineral water & daily turn down service and sweets! 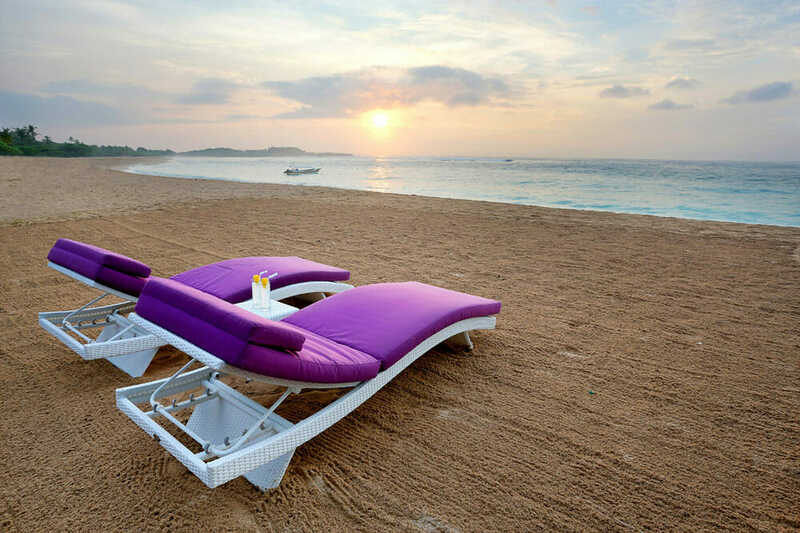 You will also receive complimentary WiFi with this exclusive My Bali package. No need to worry about organizing transportation to explore the local area, because My Bali has got you covered! Enjoy the complimentary shuttle to Nusa Dua and Tanjung Benoa Area, so you can see and do more on your holiday! Set amongst 200sq. metres, the 1 Bedroom Villa is a private sanctuary. Contemporary Balinese interiors accented by thoughtful design and architecture has all your modern comforts looked after. Enjoy a large King bed, private pool and gazebo for complete relaxation. This villa features air-conditioning, free Wi-Fi, coffee machine, indoor and outdoor shower, bathtub with Jacuzzi, sundeck and private pool! 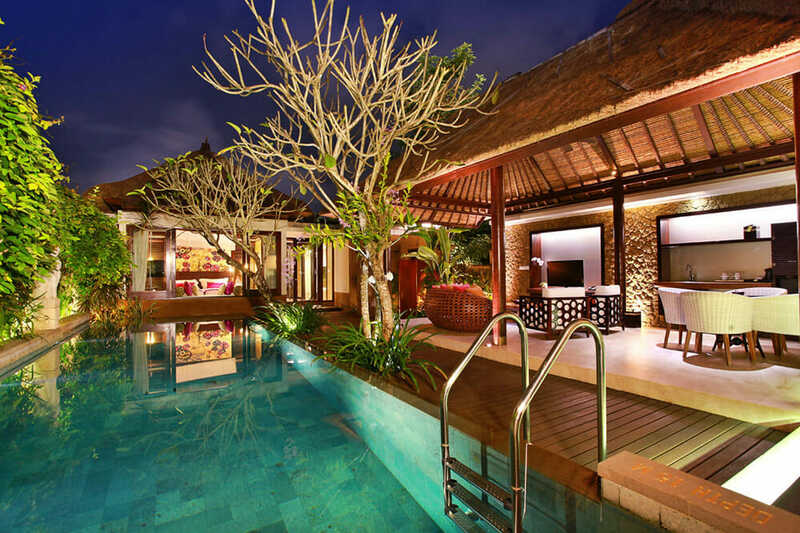 2 Bedroom Villa – UPGRADE from only $1300 per person! The 2 Bedroom Villas are a spacious retreat that exudes elegance. 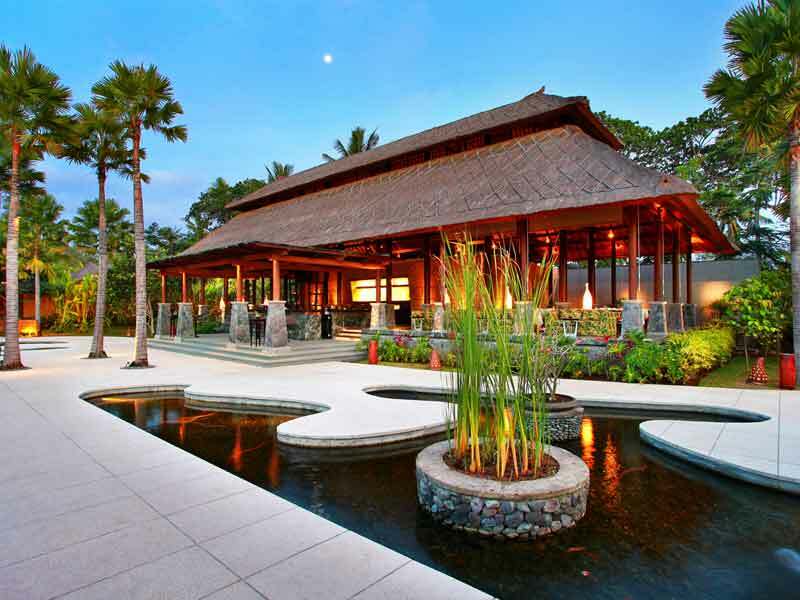 Cut wooden tiles and intricate Balinese artwork create an atmosphere of calm, indulgent luxury. From the 2 separate bedrooms to the living room and private pool, this generous 300sq. metre villa has been perfectly designed for comfort. 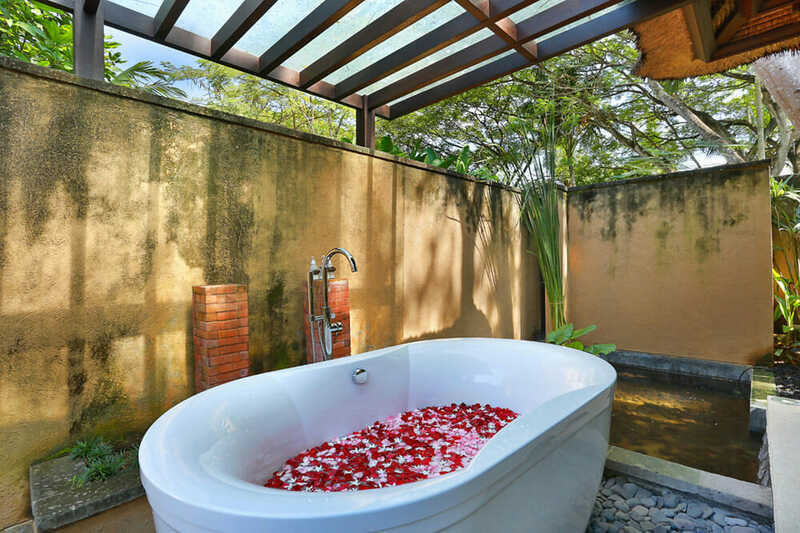 This villa features 1 King beg, 1 Twin Hollywood bed, air-conditioning, free Wi-Fi, coffee machine, indoor and outdoor shower, bathtub with Jacuzzi, sundeck and private pool. 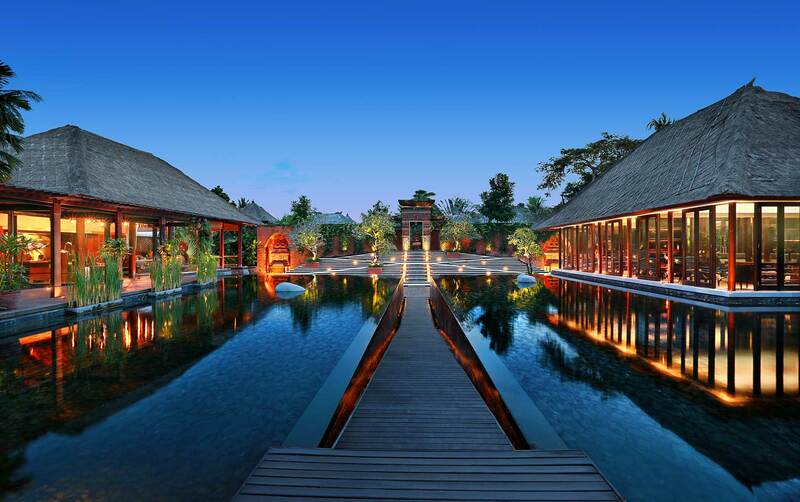 A resort sanctuary in the opulent Nusa Dua area, Amarterra Villas promises to impress. 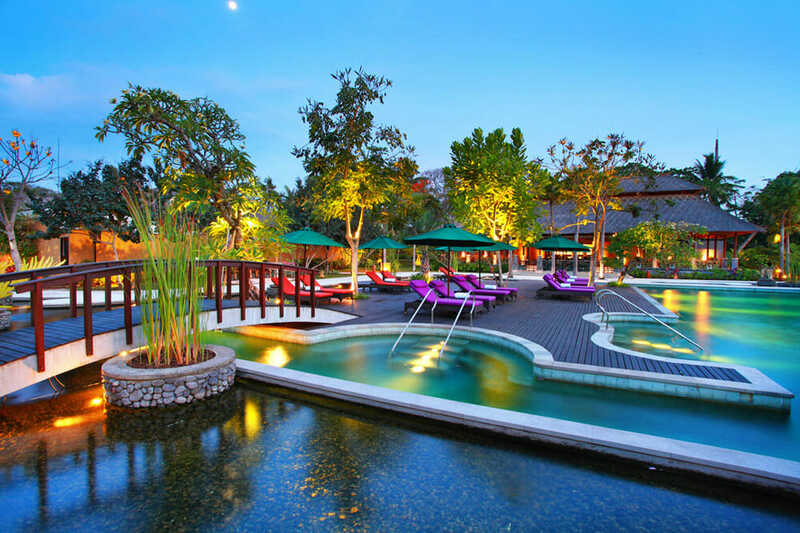 Accents of Balinese culture adorn the artfully designed architecture and manicured gardens lead you between the holistic spa, exquisite restaurant and your indulgent private villa. 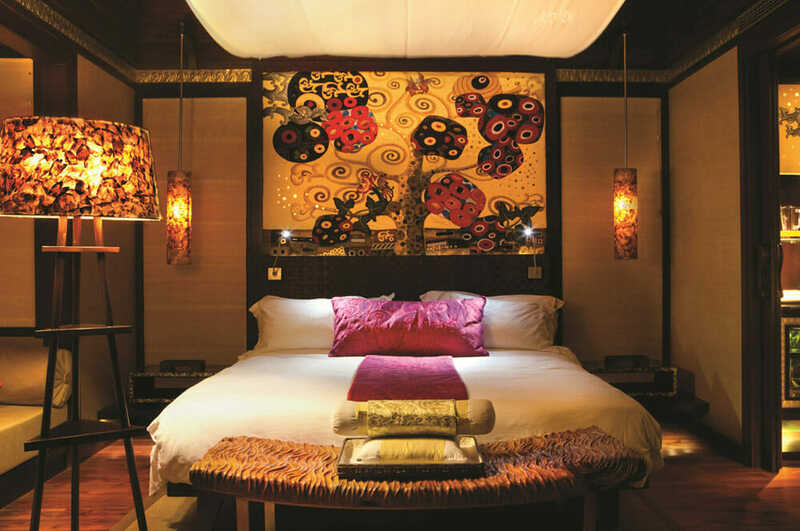 At Amarterra Villas, know that every detail has been considered for the perfect luxury escape. 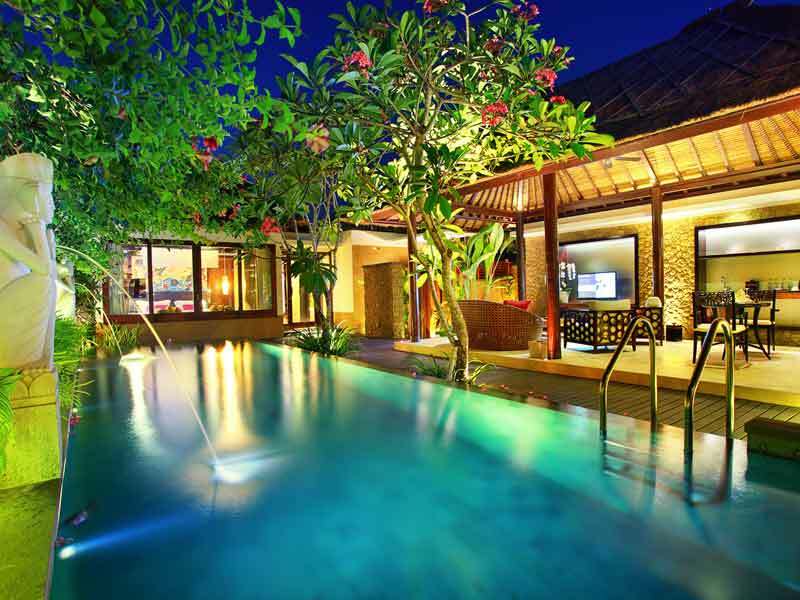 Click here to find out more about the Amaterra Villas Bali Musa Dua. Valid for new bookings only. Prices are correct at time of publication and are subject to change, cancellation or withdrawal without notice. Accommodation is subject to availability. Insurance is not included and is strongly recommended. All prices are in Australian Dollars per person based on two adults sharing. Charges may apply for changes or cancellations to your holiday. ^AIRFARES are based on promotional economy class fares. Flights may not be direct or operate daily. Cannot stay longer than 1 month after departure from point of origin. Prices are subject to promotional fare availability. Air surcharges apply during Australian school holidays and Peak periods. ~Choose 1 of 3 Tours: North Bali Tour: The markets of Candi Kuning are the first stop today, and it is here where we can buy some of the tropical fruits that Bali is famous for. There are also some beautiful flower shops and exotic spices to tantalize your senses, and the markets are a photographer’s dream come true. After departing the markets, we continue on to Lake Bratan, where we can find Pura Ulun Danu Bratan, a temple built entirely on small islands and dedicated to the water goddess Dewi Danu. Passing by the twin lakes of Bali, we arrive at the town of Banjar, with enough time to take a dip in the hot springs for which this village is famous. The main pool is quite large and around 2 meters deep. Local people believe that the springs have healing properties, and that the high sulphur content of the water gently nourishes the skin. There is a second pool, which is smaller and warmer and, in all pools, the water emerges from the mouths of stone dragons and barongs. After a fresh water shower, head to Lovina, an area famous for early morning dolphin sightings, and there is enough time for lunch at a local seaside restaurant (at own expense). Needless to say, the beach is beautiful, and offers great photo opportunities with its colourful outriggers lining the pristine sands. After lunch, visit the former Dutch capital of Bali, now known as Singaraja, which, if translated directly, means ‘Lion King’. Once a bustling centre of commerce and government, Singaraja is now a sleepy town with tree lined boulevards and old colonial residences. On the return journey, a final stop is made at Git Git Waterfall, with its impressive 80m cascade, which is sure to be a memorable conclusion to this diverse and enjoyable trip. East Bali Tour: Begin the day with a drive along the Eastern Coastline of Bali all the way to Taman Ujung, Taman Ujung was created by one of the Kings of Karangasem as a recreational place for him and his concubines. 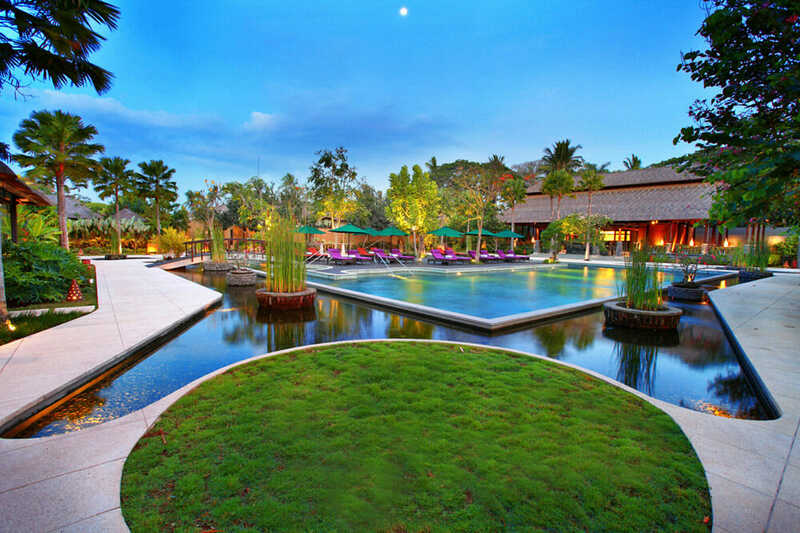 Next it’s onward to Tirta Gangga Water palace, stroll around the water features and enjoy the cool drop in temperature. After lunch (at own expense) we will visit the Village of Tenganan, an original Balinese village, a stronghold of ancient traditions. You can see the local women weave the famous “flaming” cloth, kambengeringsing, which supposedly has the power of immunize the wearer against evil. In the afternoon you head back to the hotel. Besakih Temple & Ubud Tour: At Bukit Jambul is a beautiful place a green hill and rice terrace under it. In this plateau, we will see the beautiful valley that is encircled by fertile tropical trees with the rice terrace as main focus. The highlight of todays tour is Besakih, the mother temple of Bali. The temple sits 300m up the slopes of Gunung Agung, the island’s highest mountain. The temple is comprised of 23 separate, but related, individual temples. The most important of these is Pura Penataran Agung, a six tiered temple which is terraced up the mountain. The backdrop is impressive and if the mist rolls in you may just feel as if you are in the clouds. On a clear day, the view extends down to the sea and is not to be missed. Along the way, a stop will be made for lunch at a restaurant (at own expenses). No visit to Ubud is complete without stopping in to see the towns cheekiest inhabitants – the macaque monkeys, who inhabit the Monkey Forest! Groups of these fascinating little monkeys live in the beautifully shaded forest, where they are free to roam from tree to tree, and they often come down to say hello to people who come to visit. Last stop on todays tour is the Ubud Market, where you can purchase all sorts of things from clothing to jewelry to beautiful pieces of art and souvenirs. Bargaining is a must here, as these old ladies can be tough!